Danrev Broñola (a.k.a. Papong), one of LOGSAC’s chartered member, has finished another minor climb to Cavite’s highest point – Pico de Loro – on December 26, 2010. 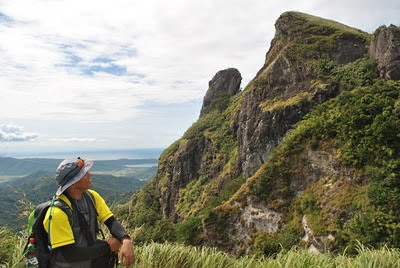 Also known as Parrot’s Peak due to its parrot beak-like structure when seen in the Cavite shores, Pico de Loro is Cavite’s highest point with an elevation of approximately 664 meters above sea level and is part of the Palay-Palay mountain range. “What’s good about the mountain is that it can easily be climbed even for first-time climbers. It’s always an option as leisure climb destination in Luzon with easy trail, forest shade and good campsite” said Papong. 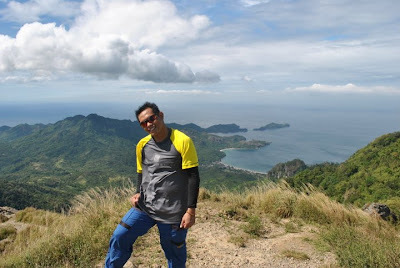 He also pointed out that the summit of Pico de Loro offers great panoramic view overlooking the entire Cavite landscape and Corregidor Island. Along the way, there are also waterfalls which can be alternatives when one seeks a longer stay in the area.